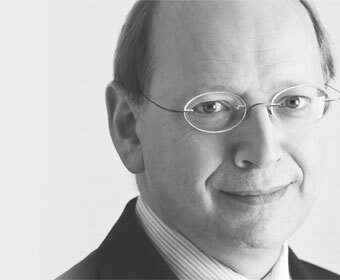 A former BT chairman and president of PTT in the Netherlands, Verwaayen took on the challenge of Alcatel Lucent in 2008. And a challenge it most certainly is. The previous leadership pairing of Pat Russo and Serge Tchuruk presided over billions of dollars in losses, before being forced to step down amid judgements that their merger had been a disaster. The seemingly insurmountable problems they faced became Verwaayen’s. He has continued to cut heads from the organisation but has also looked to position the firm to take advantage of the woes of its competitors. Alcatel Lucent recently picked up a Verizon LTE deal that would probably have gone to Nortel in happier times for the Canadian vendor. Verwaayen will also need to boost the firm’s share of the lucrative managed services market, which is particularly appealing in difficult financial climates because of the easy forecasting it allows. More recently Verwaayen has further pursued the strength in numbers thinking that led to the merger in the first place, overseeing a deal with HP that will see the two firms combine offerings for the enterprise and carrier sectors over a ten-year period. This will allow for a multi-faceted outsourcing offering, covering both the IT and telecoms functions of the firm’s operator customers. His principle challenge is just to keep the firm competitive in a market that isn’t growing in terms of available business, and looks to continue shrinking in terms of the number of players.